Lightning Motorcycles is accepting reservations for its new Lightning Strike, a two-wheeler the company promises can travel up to 200 miles in city driving in its top trim. Three trims include the $13,000 Strike Standard, $17,000 Strike Mid Range, and $20,000 Strike Carbon Edition. Delivery begins in July with the Carbon Edition. 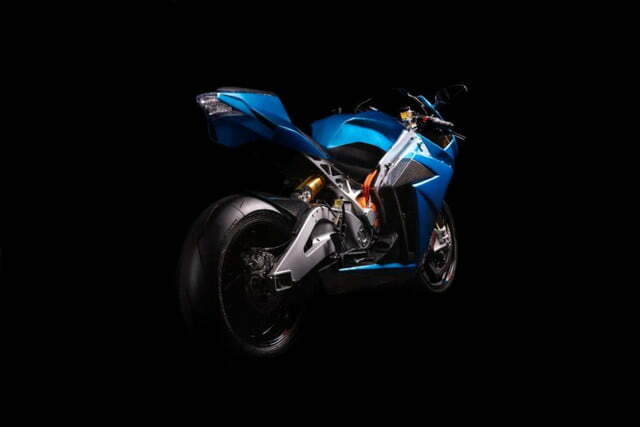 Lightning amply demonstrated it could build fast electric motorcycles, winning the Pikes Peak climb in 2013. Lighting also set a world land speed record for e-bikes in 2011 when its LS-218 nailed an average 215.907-mph for two runs on the Bonneville Salt Flats, which was also the first time an electric two-wheeler broke into the 200-mph club. While it was important for Lightning to prove it could build a bike that topped 200 miles per hour as a performance statement, it’s arguably more significant to demonstrate a 200-mile driving range per battery charge. It’s already a given that electric vehicles can be crazy fast, thanks to Lightning, Tesla, and others. However, most motorcyclists don’t compete in 5,000-foot hill climbs or suit up in blistering hot desert weather in August to race on salt. Practical considerations for electric vehicles intended for everyday and ordinary weekend use focus on range and cost. The Lightning Strike looks like the land speed record-setting LS-218, with air-shedding sportbike fairing and bodywork. 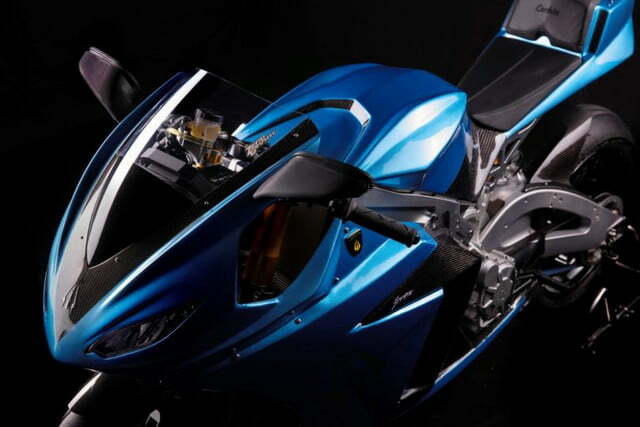 The Strike has almost 30 percent less air drag at 70 mph than electric motorcycles without fairings, according to the manufacturer. Less aerodynamic drag at speed matters because it pays off in battery range, especially in highway travel. The following is a breakdown of the three Lightning Strike versions. The Lightning Strike Standard has a 10-kWh battery, and its liquid-cooled AC induction motor can crank out 90 horsepower and 180 pound-feet of torque. Top speed is 135 mph. The Standard weighs 455 pounds and is rated to travel up to 70 miles on the highway and 100 miles in city driving. All three models have a combined charging system charge port for Level 1-3 charging, but the Lightning Standard supports Level 1 and level 2. DC fast-charging Level 3 support is a $1,500 option. For Level 1 charging, plug into any 100v outlet to fully charge the battery overnight. Hook up to a Level 2 charging station at home or on the road, and you’ll get a full charge in two to three hours. With Level 3 DC fast charging, you can add 100-plus miles of range in 20 minutes or fully charge the battery in 35 minutes. The Lightning Strike Mid Range weighs 465 pounds, just 10 pounds more than the Standard. A 15-kWh battery accounts for the extra weight. Horsepower and torque ratings are unchanged from the Standard, but the Mid Range gains 50 percent more travel distance, rated at 105 miles on the highway and 150 miles in city driving. There are no options available for the flagship Lightning Strike Carbon Edition. 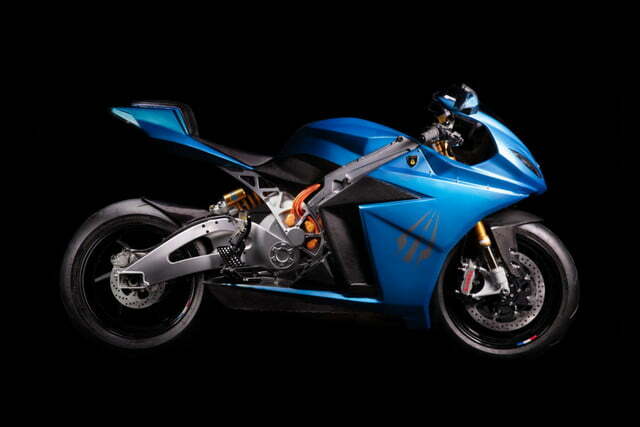 Weighing in at 485 pounds, the Carbon Edition has a 20-kWh battery. The motor produces 120 hp and 180 lb-ft of torque with a top speed of 150 mph. Lightning rates the Carbon Edition for 150 miles of highway driving and up to 200 miles in the city. Level 3 charging support is standard with the Carbon Edition. 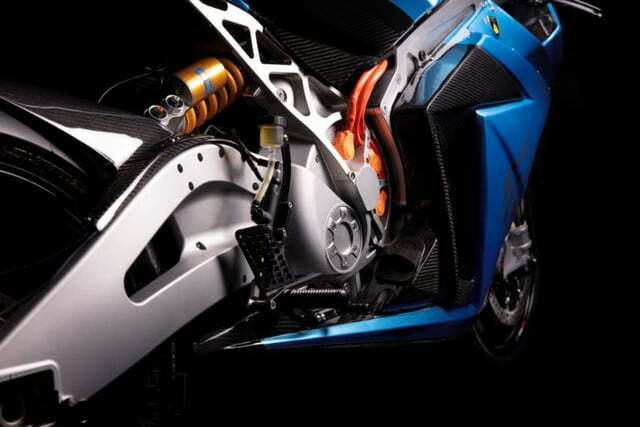 The Carbon Edition also has full carbon fiber bodywork for strength and weight savings. 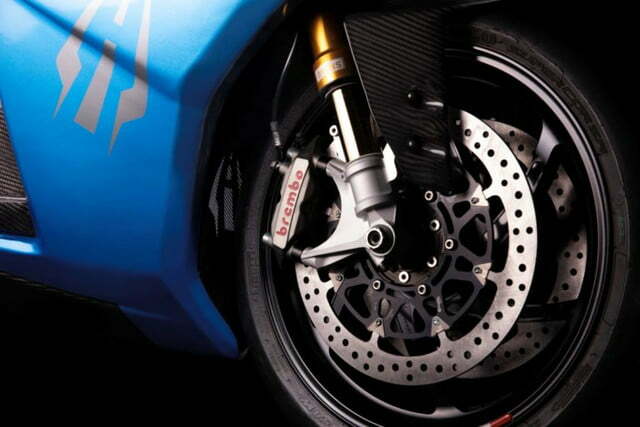 Additional upgrades with all Carbon Editions include Ohlins front and rear suspension, Brembo Monoblock brakes, and an AIM Strada racing dashboard with GPS-based data recording and a lap timer, plus an onboard 6.6 kW charger. Loaded for performance and range, the Lightning Strike Carbon Edition is the first version scheduled for delivery in the U.S., with international availability plans to be announced later in the year.